The 1000-dollar genome presents a big opportunity in medicine. A new age has dawned—the age of the 1000-dollar genome (which means a full genome can be sequenced for $1000)! It’s an important milestone for medicine. We’ve contributed to the movement by spending our time poring over the mass of data that comes with DNA sequencing and putting chip technology to good use to make DNA sequencers cheaper and more efficient. A Genetic Passport for Everyone? There are 23 pairs of chromosomes in every cell in your body. These are made up of DNA containing the code by which all of our inherited traits are established. This code consists of around 3 billion “letters” or base pairs. Within a foreseeable space of time, determining someone’s genetic code will be as normal as doing a CT scan. Every child will be able to have his or her genetic passport from birth. It will become the foundation for a healthy life: Am I likely to suffer from certain diseases and how can I avoid them? What medication works best for me? And so on. And although your genetic code is established from birth, you can still be “sequenced” several times during your life. DNA sequencing will become so accurate that you’ll be able to use a blood sample to go looking for rare DNA, such as tumor cells or even viruses. With tumor cells there are two types of DNA found in the blood: The DNA of circulating tumor cells (those that have broken away from the original tumor and are spread via the blood), and cell-free DNA (from dying tumor cells). And we can learn a great deal from this. For example, you can find out that you have a tumor, which is the primary tumor (hence where it should be), all without scans/operations, and the DNA analysis can also tell you what specific treatment is appropriate. All this is referred to as a liquid biopsy, which is the ability to take a biopsy of the tumor without having to cut into the tumor; it is based on a blood analysis. In addition to our own cells, with our own genetic information, the amount of bacteria our body houses is more than 10-fold the number of human cells. There is increasingly more evidence that the bacteria population determines to a great extent our health. A genetic analysis of your intestinal flora can be of interest in guiding your health. As far as technology is concerned, we are taking enormous strides forward by finally bringing the 1000-dollar genome within reach. But, of course, there is also a societal side to all that. When is it justified to carry out a genetic test? When and how should your doctor explain to you about any genetic abnormalities you may have? Or do you opt not to have a genetic passport made at all? These are all questions that ethics specialists are considering at the moment. [Yves Moreau] I am a member of the STADIUS research group at KU Leuven. STADIUS is a group from the former iMinds (now integrated within imec) specializing in data analysis for detecting rare genetic diseases. We develop algorithms to deduce from the 3 billion “letters” of your genetic code whether you have a rare genetic disease. There are approximately 7,000 rare diseases that affect 4–8% of the population. If you can determine from a young age what specific disease a child is suffering from, it is easier for the family to come to terms with it. They then know how the disease will develop and whether there is any likelihood that a subsequent child will also have the same abnormality. In the end, researchers will be able to use the abnormal genetic code to gain an insight into the mechanism behind the disease and develop better treatments as a result. Spending $1000 for a genome perhaps still sounds like a lot, but it’s not when you add up the costs of all the tests and visits to the doctor that were needed previously in the search for the correct diagnosis of a rare disease. Not to mention the pain and distress that the family experiences by not knowing what is going on with their child. Determining the genetic code is still not a routine task, but what happens when it does? We are going to see an explosion of data. And that quantity of data is one of the main challenges facing us: How are we going to be able to store all of those terabytes of data securely and at an affordable price? And having done that, how will we analyze and interpret it? Our research group has spent 2016 working mainly on solutions for determining which differences in the genetic codes between different individuals (around 3 million differences out of the 3 billion base pairs) are important and which ones are not. Which differences end up causing diseases? Using our algorithms we are able to identify mutations that may be the cause of a particular disease. From there on, doctors study it more in detail. The more genetic data can be collected, the more insight doctors can gain on diseases and their therapy. Over the past year we have also been looking at how genetic information can be shared securely. Storing everything in a single central database would not be a good idea, because there is always the danger of hacking. Which is why we have developed a model in which data is stored locally, but can be viewed and consulted remotely from anywhere. For instance, a doctor is able to retrieve the genetic data of all of the patients in the world with a specific disease, although he will not be able to access an individual genome containing personal data. From $1000 to $100 for a Genome? Scientists are over the moon with the $1000 genome; but for ordinary people that still sounds like a lot, especially as it’s a cost that the health funds aren’t reimbursing (yet). But how can we drive down the cost of a genetic passport even further? I [Pol Van Dorpe] have a leading role in imec’s research group that produces photonics solutions for life science applications. This $1000 figure is relative. Currently it represents the cost of sequencing an entire genome if you could run a DNA-sequencer continuously for a whole year, thereby reducing the cost per genome. But the cost of the equipment involved is falling; the quantity of DNA that can be analyzed per hour—the throughput—is also increasing. We are using our expertise in nanophotonics, CMOS sensors, integration and chip production to improve this equipment. And we are working on it with various major players, too. For example, Pacific Biosciences has been able to reduce the cost of its equipment by 50% and their chips are generating seven times more information as the result of our working together. In addition to lowering the cost of the equipment and increasing throughput, we are also making progress towards “long reads” in which long strands of DNA can be read. This compares with earlier techniques in which the DNA was divided into small pieces, multiplied and then read. The advantage of ‘long reads’ is that we can put together a person’s entire genetic map much more accurately and quickly than before. It also makes it possible to detect structural variations. These are pieces of code that are repeated in the genome at specific places. Any abnormalities in this pattern may also lead to health problems. Medtronic has completed the 50 billion acquisition of Covidien, in the largest medical device merger of all time. Behemoth Merger by End of the Month? 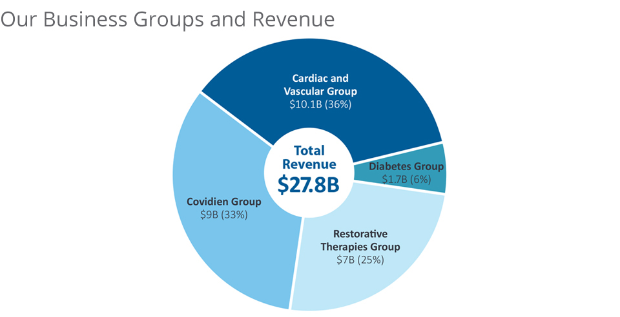 According to a regulatory filing dated January 12, Medtronic and Covidien could complete their $43 billion mega-merger by the end of the month. Here are 5 strategies that Western medical device companies need to adopt to tap into the growing Chinese market for devices and diagnostics. Pol Van Dorpe received his Ph.D. from the faculty of engineering of KU Leuven for his work in the field of spintronics. 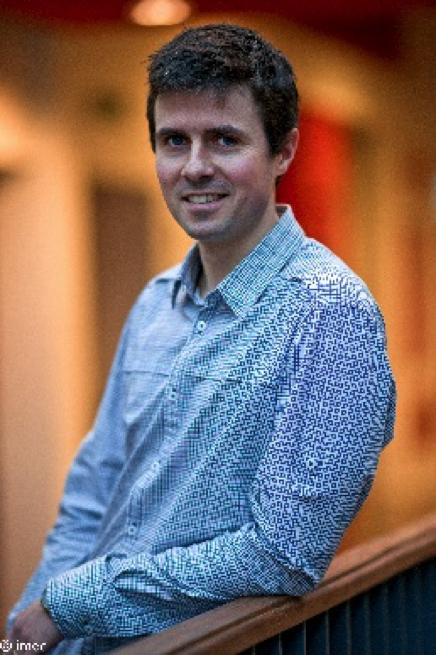 Afterwards he was appointed as a postdoctoral fellow of FWO-Flanders (2006-2012), based at imec, where he focused on metal-based nanophotonics and plasmonics for biosensors and energy harvesting. During this period, Van Dorpe worked for some time at Stanford University, where he set up worldwide collaborations with renowned scientists in this field. His work has led to more than 100 peer-reviewed papers in high-impact factor journals and has attracted more than 5000 citations. Since 2012 he has held the position of part-time associate professor in the physics department at KU Leuven and he is a leading member of staff in the life sciences department at imec, where his main research focus is applying integrated photonics concepts to enable novel applications in the life sciences field. Yves Moreau is Professor at imec – KU Leuven (STADIUS). Yves Moreau received his Ph.D. at KU Leuven ESAT-SCD in 1998. Between 1998 and 2005, he was a postdoctoral researcher (FWO-Vlaanderen) and assistant professor at ESAT-SCD, developing bioinformatics research. Since 2004, he has been a lecturer and professor at ESAT-SCD, coordinating SymBioSys, the KU Leuven Center for Computational Systems Biology. He is also the program director of the Master of Bioinformatics. He conducts research into computational methods for diagnosis and disease gene discovery in congenital genetic disorders and teaches several bioinformatics courses, mainly focusing on probabilistic models in computational biology. Moreau is associate editor for IEEE Transactions on Computational Biology and Bioinformatics. He is also a co-founder of two spin-off start-ups from the university: Data4s, now part of Norkom Technologies, specializing in datamining for the banking industry, and Cartagenia, specializing in IT solutions for clinical genetic diagnosis.